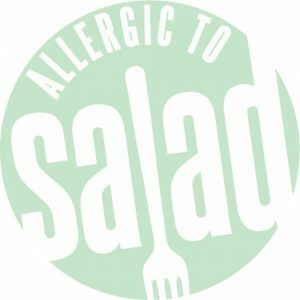 This month at Allergic to Salad, we’re celebrating animals and soil fertility. As springtime rolls around, the earth is reborn as trees start to bud and flowers begin to bloom, erasing the browns and grays of New York with green, pink, and everything in between. Although there aren’t many farms here in the city, if you head out into the countryside, you might see calves and lambs out and about in the pasture, since early spring is typically when baby animals are born! In the spirit of rebirth, we’ll be focusing on eggs in our post today. While the eggs we eat don’t become chickens, had there been a rooster around, they could have! 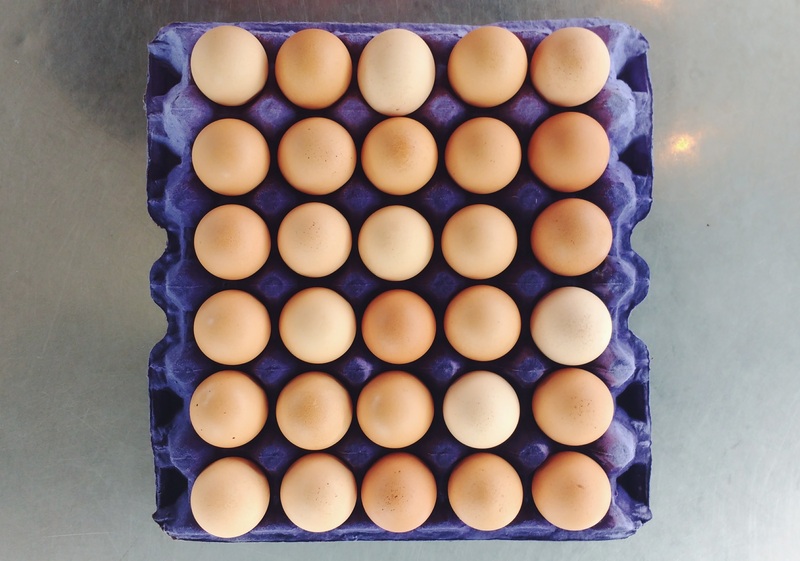 We love eggs because they’re filled with protein, B vitamins, and iron, along with plentiful other nutrients. Whether scrambled, poached, hard-boiled, fried in a little butter or coconut oil, sunny-side up, or sunny-side down, eggs are absolutely delicious. If you can, it’s always better to buy eggs from a local farmer. That way, you know the chickens spend their days running around outside enjoying the sunshine instead of cooped up in a cage without much space to move. Happy hens make the most tasty eggs, after all! 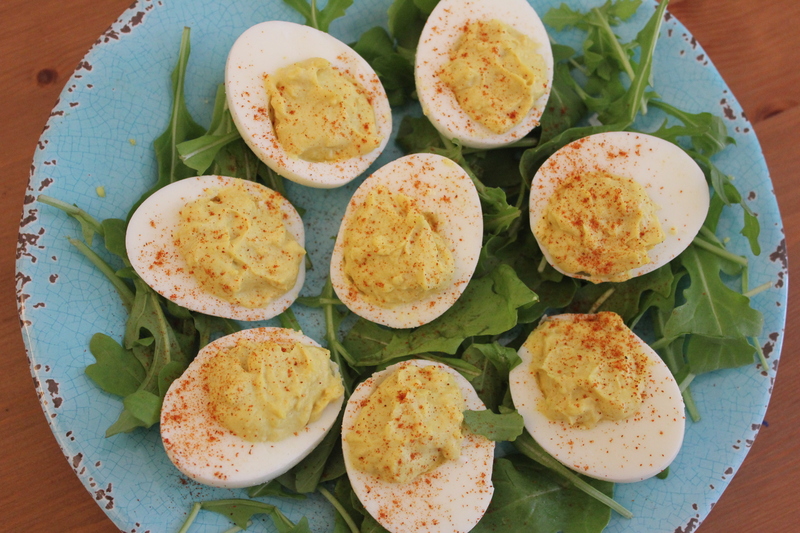 Today, we’ll be sharing a recipe for deviled eggs, a yummy bite that’s always a crowd-pleaser at parties. Rumor has it that a version of this dish has been around since Roman times, when boiled eggs were served with oil, wine, or broth and pepper. Stuffed eggs began popping up in Spain around the 13th Century and spread across Europe, eventually evolving into the deviled eggs we know and love today. Genevieve, our partnerships and outreach coordinator, just whipped up a batch herself, and couldn’t stop talking about how much she adored them! Try this recipe as an appetizer or a convenient snack to munch on all spring long. Looking for other fun ways to experiment over spring break? 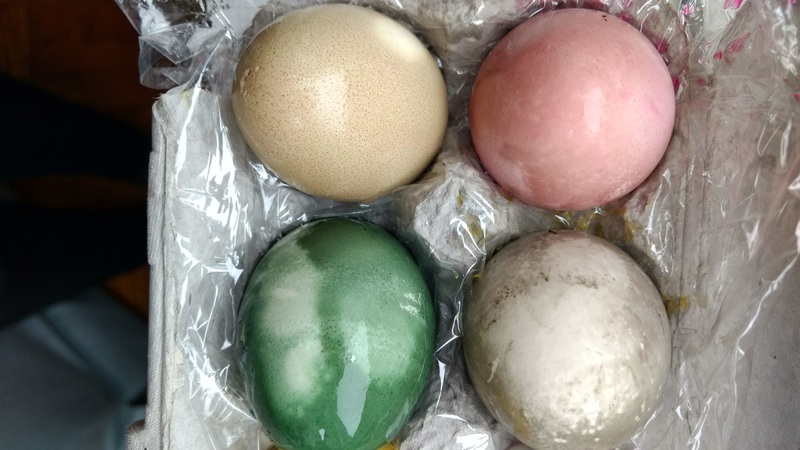 Try making our naturally-dyed eggs in anticipation of Easter. You don’t even need food coloring: just grab some veggies, juice and spices and you’ll be good to go. The ones programs officer Sarah made are particularly beautiful, as you can see! For each color of dye, bring 6 cups water to a boil. Boil vegetable/spice mixture for 30 minutes. Remove from heat and stir in 2 tablespoons vinegar (per color). 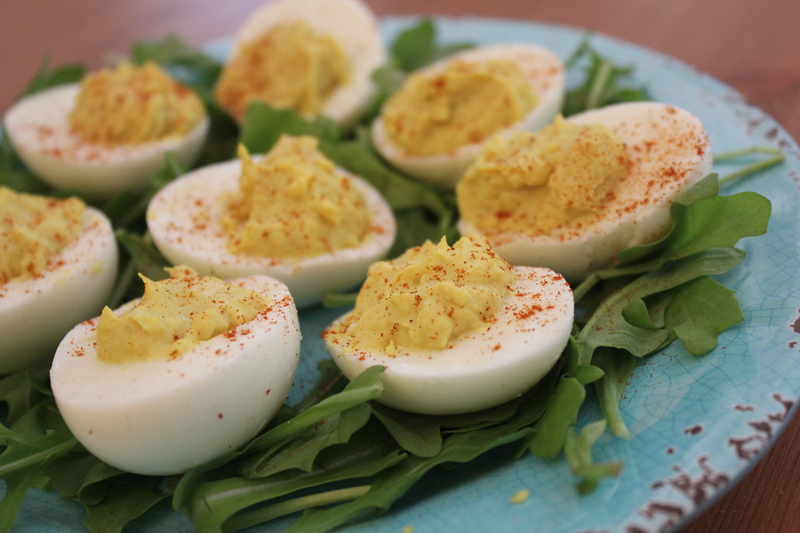 Let hard-boiled eggs sit in dye 30 minutes minimum. For best results, let sit overnight in refrigerator. 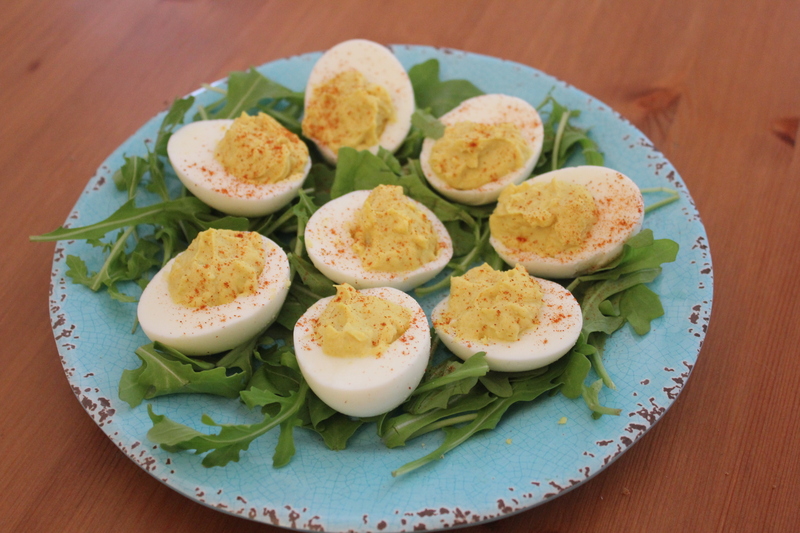 What is your favorite way to enjoy eggs? Let us know in the comments below!